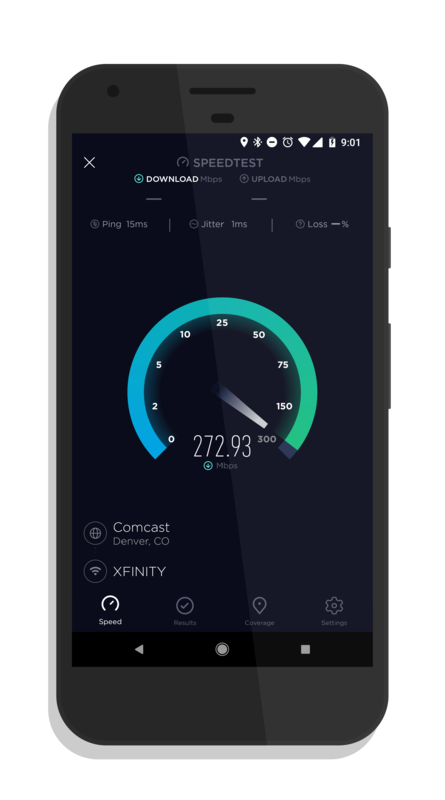 The connectivity speed testing app, Speedtest by Ookla, has a new update rolling out that brings a completely revamped user experience. The new update is version 4.0 for those keeping score at home and if you have the app installed, you can expect to see the update hit your phone over the course of the next few days. Feature wise, there is nothing new in Speedtest. It is all down to the new UI. Gone is the speedometer style dial that you had when you tested your WiFi or 4G connectivity speed. Instead, you now have a modern dial that has a Material Design feel to it. You still have all of the great features such as being able to see all your test results and see what coverage is in your area from different carriers. This has been updated slightly (and still listed as being in beta in the app) to reflect the colors of the carriers themselves (pink for T-Mobile, blue for AT&T, etc.). The app is free for those who don’t have it installed and it is a great way to test your connectivity while you are on the go or to see if that WiFi channel change you made at home improved your connectivity speed.